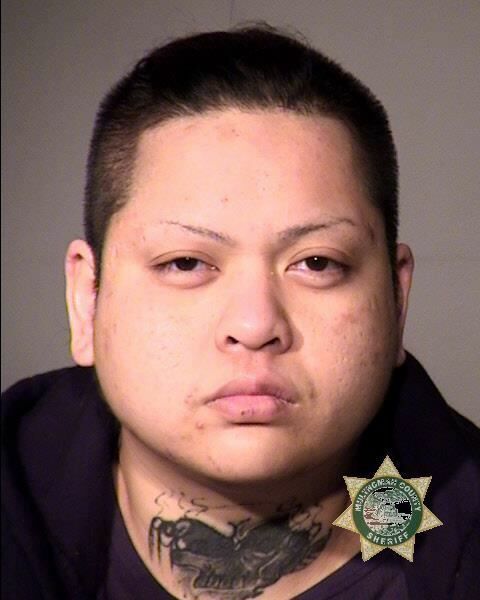 A man told police that Lena Thi Son yelled 'I'm going to shoot you' before firing a single shot. Portland police are investigating a shooting in a Southeast Portland apartment complex. Officers responded to the 9000 block of Southeast Flavel Street around 4:06 p.m. on Thursday, Feb. 7, according to a news release. Lena Thi Son, 31, was arrested at the scene and charged with unlawful use of a firearm and being a felon in possession of a firearm. According to a court document, Son and a man identified only as "Frank" were arguing outside her apartment until she yelled "I'm going to shoot you!" Son allegedly went back inside her apartment, retrieved a gun and fired a single shot at the man, who officers said was inside a car and driving away. Officers say they found a bullet in the tire of a Chevy Tahoe parked in the lot. The apartment manager, a man called Erickson, told police a white man in a beanie came into his office and yelled "She shot at me with a 9mm!" shortly after the fray began. Officers also found a shell casing in the doorway of the apartment and a Glock handgun inside Son's apartment. Son has six felonies and two misdemeanors on her record. She remains behind bars at the downtown jail at this time. "At this time, no victim has come forward," according to a news release.